Must Civil Government Have A Double Standard? R.J. Rushdoony: 00:01 Must civil government have a double standard? This is R.J. Rushdoony with a report on our threatened freedom. All of us are faced annually with deadlines from one agency of the federal or state government. A deadline for filing state and federal income tax returns and payments, property tax deadlines, car license deadlines, business license deadlines, so on and on. If we are tardy in filing, we pay a penalty. This is as it should be. The orderly conduct of life and business requires deadlines and penalties and I am not about to suggest abandoning them. On the contrary, I want them extended to include every agency of state. Let me illustrate. A friend had to make very large withholding payments on his income tax in the first half of one year who then made almost nothing in the second half. As a result, he had $5,000 coming to him which he needed badly. Of course, he waited a couple of years for it and in the process was audited before he was repaid. R.J. Rushdoony: 01:15 Or take this case. When a driveway was being built which entered a state highway, the highway department required that a $1,000 bond be posted, to be returned when the work was completed and approved. However, when the work was finished and approved, the state highway department made no haste to return the money. After a telephone call it was promised by the first of the month but the first of that coming month and the next passed without any check arriving. In one city, several small contractors suffered bad credit ratings and near bankruptcy after working on a federal project. Almost a year later, they were still awaiting payment and were all in financial trouble. Of course, if you or I are late on any of our tax payments, we are penalized. Quite obviously there is a double standard at work here. R.J. Rushdoony: 02:10 All these federal and state agencies claim that the problem is that they are overworked. How about the rest of us? Are we not overworked filling out their forms on top of doing our own work? Moreover, no one has had a higher percentage of help for volume of work than does a bureaucracy. A friend of mine pays between 50 and 100,000 dollars a year in one form of tax after another on his business. His one secretary handles all the organization’s telephone and secretarial work. This man is a good accountant, spends much time every week keeping accounts and filling out forms for the tax man. There is so much book work required of persons in businesses that accounting has become a major growth industry. R.J. Rushdoony: 03:03 Some small western counties have more accountants than they do policemen and sheriff’s deputies and this may well be true of the big cities as well. We need the policemen to protect us from hoodlums but we Americans need as many or more accountants to protect us from the state and federal governments. Are we getting our money’s worth from either the state capitol or Washington D.C.? 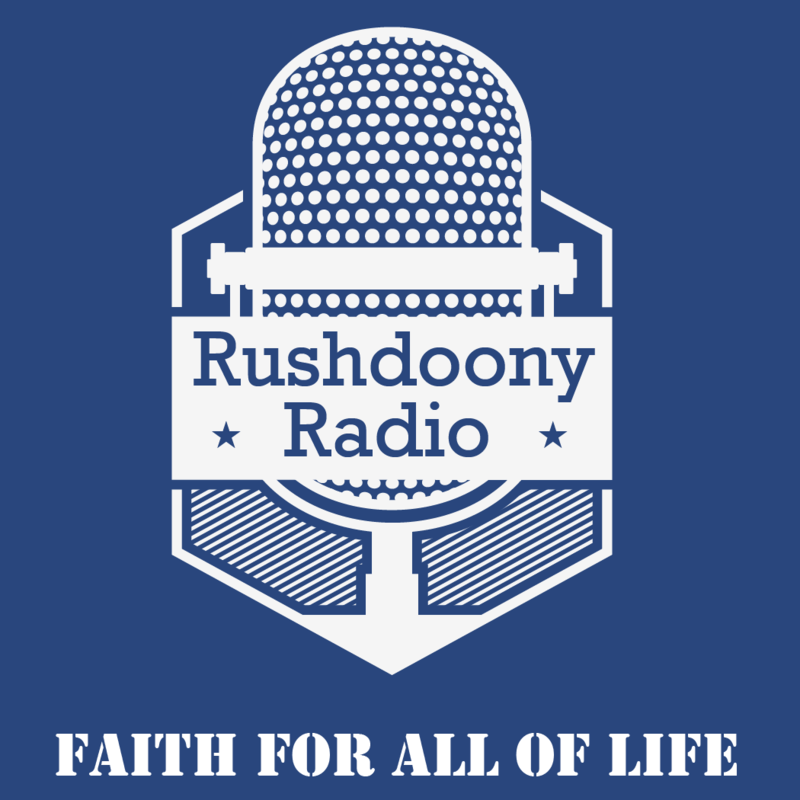 This has been R.J. Rushdoony with a report on our threatened freedom.